“Is she here? When is she coming?” someone murmured to their neighbor as they enthusiastically munched on hummus and celery sticks. “Will we get to shake her hand? If I do, can you take a picture for me?” someone else whispered to a friend, holding out his smartphone. SDG11 will be reviewed at the UN High-Level Political Forum this year. What is UN-Habitat’s plan? As the HLPF occurs only a few months before the two-year anniversary of the adoption of the New Urban Agenda in Quito, Ms. Sharif said UN-Habitat is working to get feedback from stakeholders on how the implementation of the document has progressed. In her opinion, the challenge at the HLPF will be figuring out how to implement the New Urban Agenda at the local level. 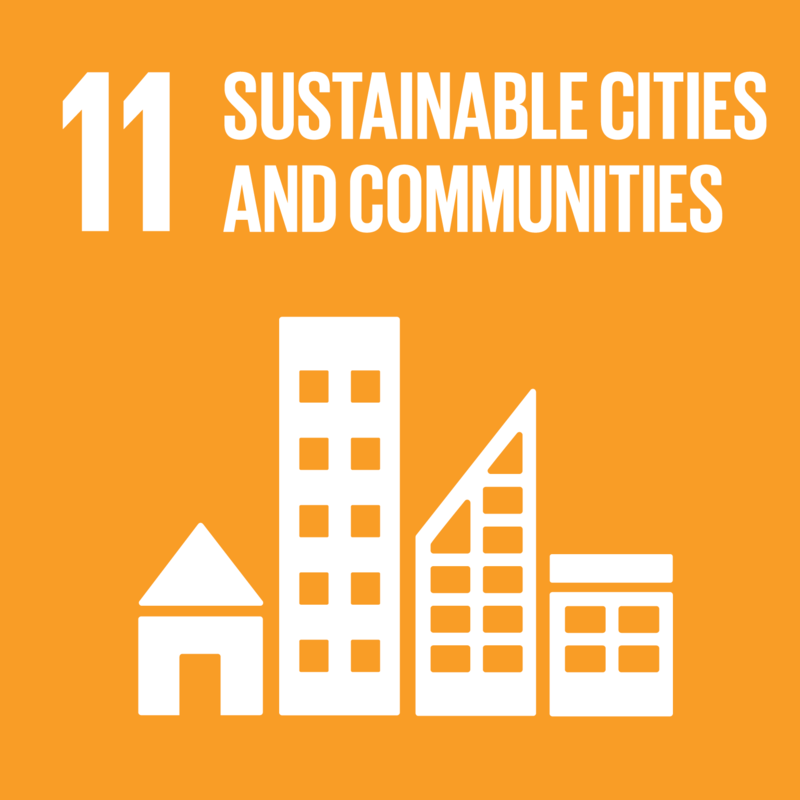 What the urban community needs are global tools to measure the implementation of both the NUA and the SDGs at a national and local level. During the HLPF, she urged that stakeholders should discuss how we can create these tools. How can the U.S. be a good partner to UN-Habitat as we try to lift up the issue of sustainable urbanization and the importance of it globally? Ms. Sharif said she wants UN-Habitat to “think, do, partner and share” on the ground and incorporate as many U.S. stakeholders as possible to highlight the importance of urbanization, including non-governmental stakeholders like NGOs and universities. As a former mayor of Penang Island, Malaysia, Ms. Sharif said she was used to facing challenges at the city level without having the capacity to do research on urban issues. To fill this capacity gap, she worked with the local university to create well-informed solutions that could effectively address the challenges. As Executive Director, she said she uses this experience as another reason to connect stakeholders at the global and local level and across sectors together, so they can collectively work on the problems that they all have. As the new Executive Director with growing urban population, how can you improve urban-rural linkages? Ms. Sharif explained that this issue is close to her heart, as she grew up in a poor family in a rural area, where there was limited access to water resources, among other challenges. She thinks bringing youth into the conversation is key to reducing the urban-rural divide, as many of them flock to cities for opportunity. In this vein, urbanization can be a tool to reduce the gap; if urban-like facilities like good school systems and adequate sanitation can be brought to rural areas, there will be less of a reason for people to move from rural to urban areas. The focus should be on improving the quality of life in both spaces. How do we build cities with justice in mind? Ms. Sharif shared her experience as both a planner and a mayor in Malaysia, where Penang Island was the first city to implement gender-responsive participatory budget planning and gender-oriented goals in their strategic plan, measures that were only made possible because they went straight to the city’s residents for ideas. In another instance, meeting directly with Bangladeshi migrants helped create new urban policies that successfully provided affordable housing for migrant workers. With these achievements in mind, Ms. Sharif said that she wants to be a leader, not a boss. She doesn’t want to have followers; rather, she would like to create partnerships, and with these partnerships, she wants to implement inclusive urbanization with both bottom-up and top-bottom approaches because in the middle of these approaches is the convergence of good ideas. What is UN-Habitat’s vision for creating more inclusion in the conversation with the private sector? The last question of the event produced a very well-received answer: UN-Habitat cannot do it alone. Ms. Sharif said that her idea of leadership means facilitating partnerships from the ground up, incorporating not three, but four Ps: public, private, and people partnerships. Including the private sector in the urban conversation is critical to achieving inclusive and sustainable urban development. In her own experience as a mayor of Penang Island, the private sector was a key resource for successfully introducing affordable housing. When the private sector and government work together to create and implement urban initiatives, they share both the costs of doing business and the benefits of the successful solutions. Once Ms. Sharif had gone down the line of people to shake hands, snap selfies and engage in quick but meaningful conversations, she left a room that was just as aflutter with excitement as it was when she entered. IHC Global was honored to co-host Ms. Sharif for this unique, illuminating meet and greet. Her warmth, willingness to listen to all parties and innovative ideas mean we are more confident than ever that her time as Executive Director will bring the urban world closer to achieving inclusive and sustainable cities for all.